CHECHESMITHNATION : This Is Me Looking All Chic Rocking This Statement Ankara Off-Shoulder Dress! Without contest, off-the-shoulder style has become one of the most loved and trendy stuff in recent times. 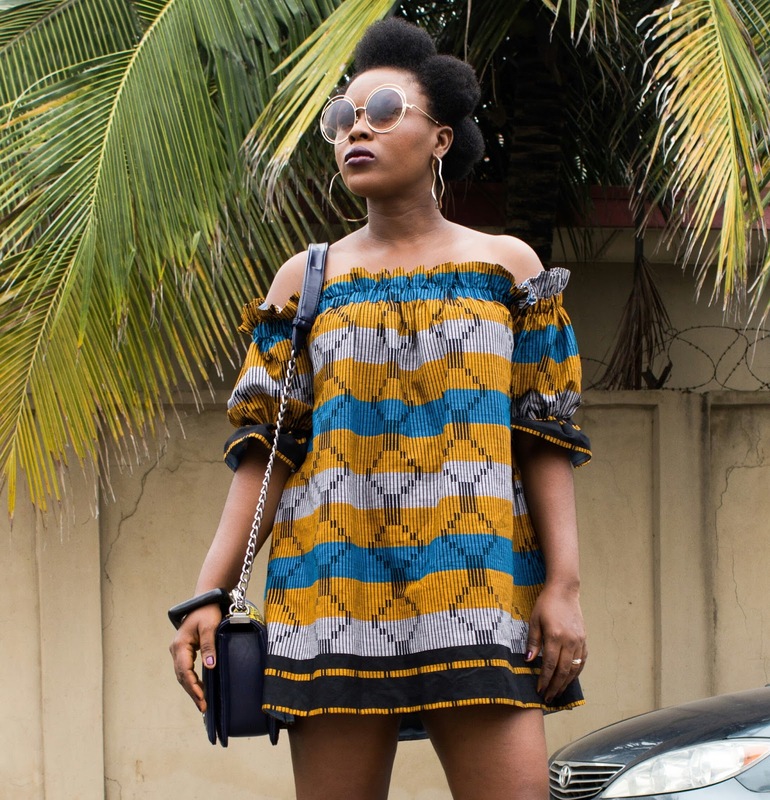 The trend is so stylish that you can personally choose to rock it in different fun ways; one can choose to go from cold, to in between, and to that ultimate hot chic look with an off-shoulder dress. 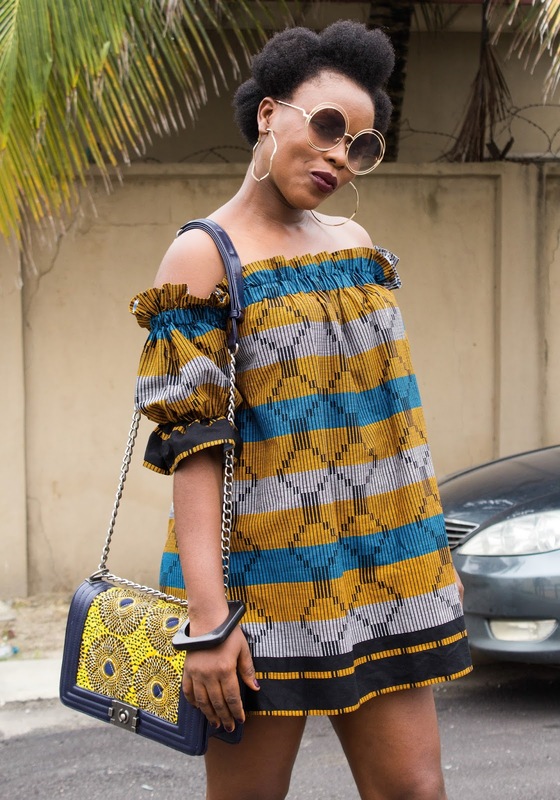 Off-shoulder dresses come in different styles too; you can rock them in Maxi , midi and mini, but, it all depends on where you are headed to sha oo! Well peeps, off-shoulder dresses are a must have and they do have that magic vibe that keeps you glammed up. Off-shoulder dresses have that touch of sexiness about them, you can decide to go all chic by rocking your midi off-shoulder dress with a heeled caged sandals or bold wedge for the day, or keep it simple paired with a gladiator sandals or a t-strap sandals for an evening outing. Now let's talk about my look, So I am outfitted in this cute off-the-shoulder Ankara dress...I'm still crushing over the elasticated neckline of this dress and it's slightly puffy midi sleeves...I paired up my look with this Windsor Smith's blocked heeled white wedge, and trust me, it swiftly added that feminine look every girl needs. I chose not to add up any accessories as you can see: Firstly because I didn't want anything stealing the shine away from my pretty dress, and secondly, because off-shoulder dresses already have your neck in display, it elongates your neck to add a touch of sexiness, giving you room to flaunt some cool skin hahahaha! But if you must use some accesories, then you can work with a cute and nicely fitted choker. 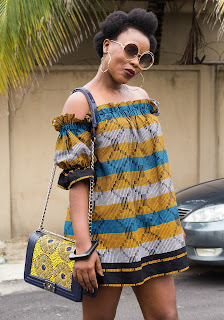 I love the simplicity of this off-the-shoulder Ankara dress that I had to finish off the look with a loopearings by (@cnyfashionhouse) my made in Nigeria print hand bag by (@ralysruby's) and my sun shades by (@alte_fashion ) . So peeps, with less accessories, it's all eyes on my "Tock" off-shoulder dress by Fifimeribe (@fifimeribe). 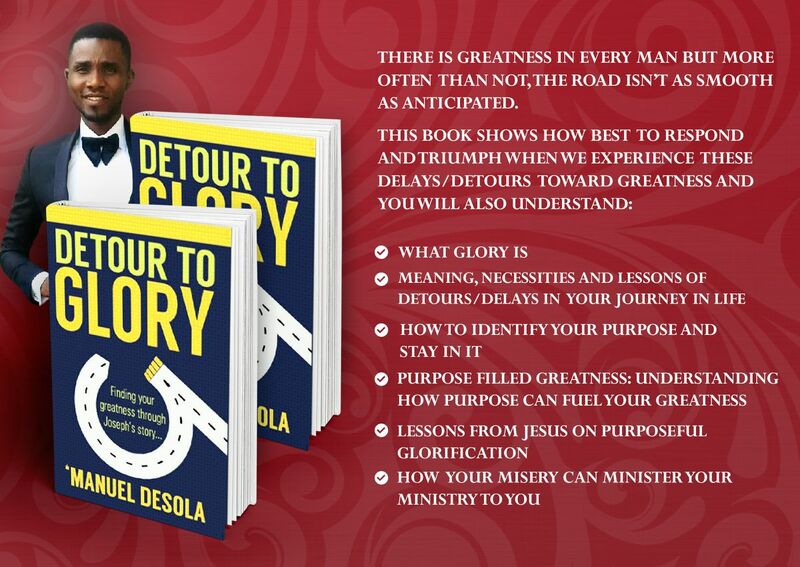 Let me know what you think peeps!